President Muhammadu Buhari has ordered the arrest of persons in possession of illegal firearms vowing to put an end to the incessant killings by maintaining law and order in the country. 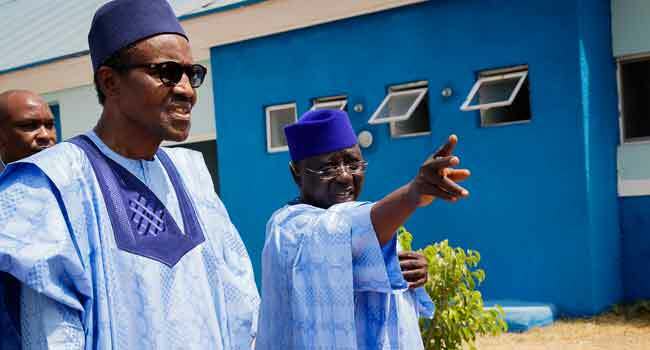 The President who was in Nasarawa State on Tuesday to inaugurate some projects asked security agents newly deployed to the troubled areas to go after the perpetrators of the act in order to bring justice to the victims of the attacks. “I also want to assure the people of the North Central and indeed all Nigerians that the Federal Government is working day and night to ensure peace and stability. We have deployed additional resources to all affected areas to maintain law and order. “The attacks by suspected herdsmen and other bandits will not be tolerated. I appeal to all Nigerians to restrain from reprisal attacks. The security agencies I have sent them instruction to arrest and prosecute any and all person found with illegal arms,” he said. 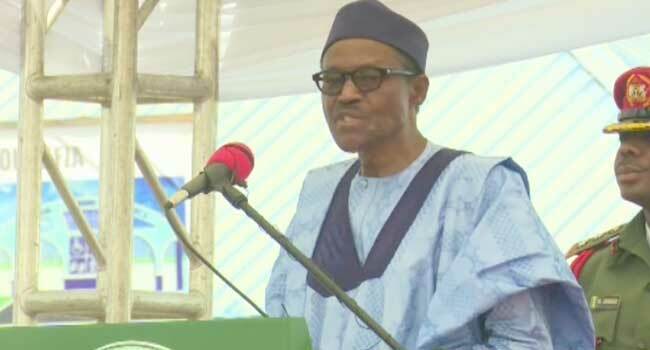 President Buhari while condemning the killings by suspected herdsmen in various region of the country expressed condolence to victims of the attacks. “I will like once again to express my condolence and sympathy to all affected victims of this barbaric act,” he said. He said further that the unwarranted killings of innocent citizens will not be tolerated as he promises to improve the security atmosphere across the country. President Buhari with Governor Tanko Al-Makura during the President’s visit to Nasarawa State on Tuesday. The President’s aircraft touched down the Nasarawa State government house at exactly 10:12 am on Tuesday, January 6, for a one-day visit to inaugurate some projects executed by the Nasarawa state government. He was received by governor Tanko Al-Makura of Nasarawa and Simon Lalong of Plateau states alongside other federal and state government officials.